Latest figures have revealed that London house prices are falling at their fastest rate since 2009. An official report has blamed Brexit for the stagnation in London’s property market. The last time London house prices took such a tumble was in 2009 after the financial crisis. A period plagued by uncertainty. Today’s fall in London property prices bear a striking similarity to 2009, with the Brexit date fast approaching and continued uncertainty looming. According to Rightmove, the typical asking price for a London property fell by £10,793, a fall as large as 1.7%. 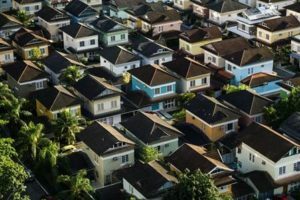 Years of a booming UK property market are coming to an end as the falling property prices in the capital spread to other areas of the country, most notably the South. Zoopla commented on the difficulty of making sales in a period of falling property prices. It said sellers in the seaside city are having to take an average of £28,000 off the asking price in order to make a sale. Estate agents now face the challenge of cutting asking prices without triggering a market crash. The Organisers team are keeping a close eye on the market. If you need any advice on the property market contact The Organisers Managing Director, Katie Shapley, or The Organisers team today on +44(0)207 078 7554 or email us on team@theorganisers.com.